If there's been a theme in Justine Meade's life, it's loss. Her mother, her home, even her son. The one bright spot in her loss-filled life, the partner she could always count on, was Mack, her grey and black Sheltie - that is, until she is summoned back to her childhood home after more than twenty years away. 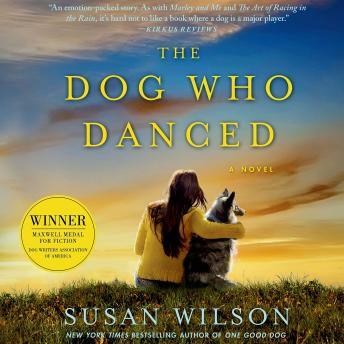 Susan Wilson does not disappoint with this heartwarming and realistic story. The use of different voice talents to represent the protagonists' points of view draw the listener into the emotional turmoil that permeates this novel. Filled with regret and grief, the Parmalees' lives are changed when they allow "Buddy" into their house. In the search for her beloved dog, a jaded and disillusioned Justine unexpectedly finds self-discovery and romance. During all this, Buddy/Mac, the intelligent, loyal and affectionate sheltie, helps the humans around him with his unwavering good will.